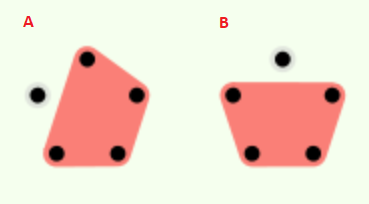 A∨B is a subset that has a union of blocks in A and B (hope this wording is correct). > 4) Is it true that A≤(A∨B) and B≤(A∨B) ? The effects of the ∨-operation are 'additive' and cannot be destructive. And, because ≤ - relation is defined as 'whatever is connected in A, should remain connected in (A∨B) , we cannot have a situation where there is a connection in A, but not in (A∨B). > 6) Is it true that in each case, (A∨B)≤C ? It is not true in general. Although this happened to be true in my selection example. 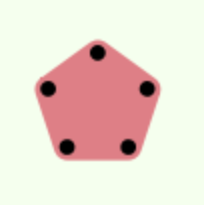 It is not true in general, because ∨ can produce generative effects, such as new connections, that were not part of C , given how C could be selected according to 5).